With Marvel Studios running rampant in the box office with every film released being a sure-fire hit, it seems that comic book movies are hot property at the moment, a far cry from how Hollywood thought of them a couple of decades ago. 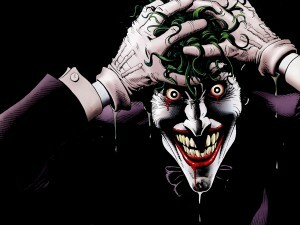 DC Comics are responsible for some of the most classic comic book characters in history. With superheroes such as Batman, Superman, The Flash, Aquaman and Green Lantern in DC’s vast back catalogue, the film crossover possibilities are endless. With the Suicide Squad film now in production, the future looks bright for DC as they attempt to overthrow Marvel as film’s biggest comic book studio. Marvel Studios has been churning out box office smashing films for a while now, starting with Blade back in 1998. Starring Wesley Snipes as the vampire hunter, the film was a huge success and showed that comic book films can be a success without the need for a well known character. X-Men was the next film to be released from Marvel, starring Hugh Jackman, Patrick Stewart, Ian McKellen and directed by Bryan Singer. The film made almost $300,000,000 worldwide and subsequently paved the way for sequels and the eventual prequel origin stories. With the release and success of Iron Man in 2008, Marvel Studios decided on linking all further films within the same universe, resulting in the phenomenally successful Avengers in 2012, which combined a number of main characters all teaming up in one film. Captain America (2011) and Thor (2011) were both films released to set up the story for The Avengers, joining Iron Man (Robert Downey Jr) and Hulk (Mark Ruffalo) as a team of superheroes bought together by Nick Fury (Samuel L Jackson). With Marvel Studios running away with such success, DC Comics have now entered the game with their own connecting film universe, with an equally impressive roll call of superheroes. Man of Steel (2013) is the first film in the shared universe, directed by Zack Snyder (300, Watchmen, Dawn of the Dead) and starring Henry Cavill as Superman, a reboot of the Superman films. Cavill will reprise his role as the man of steel in the second shared universe film, Batman vs Superman: Dawn of Justice, with the introduction of Ben Affleck taking up the role of Batman after Christian Bale’s hugely successful Dark Knight trilogy from Christopher Nolan. There are plans for 11 more films to fit in with the shared universe, including a stand alone film starring Affleck’s Batman. 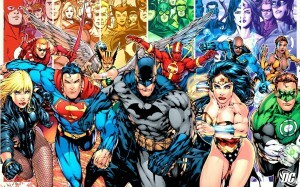 The films to be released for the DC shared universe by Warner Bros. scheduled for release over the next five years include Batman vs Superman: Dawn of Justice, Suicide Squad, Wonder Woman, Justice League and part two in 2019, The Flash, Aquaman, Shazam, Cyborg and a reboot of the critically panned Green Lantern will all follow. In addition, a sequel to Man of Steel is also in the pipeline. The shared universe idea started back in 1998 when Kevin Smith and Tim Burton were to team up and reboot Superman with Nicolas Cage as the Man of Steel. Michael Keaton was also set to reprise his role of Batman from Burton’s earlier Batman films but the project was cancelled before production began. With Suicide Squad being the first major film to incorporate multiple characters from the DC shared universe, it was announced that David Ayer (Fury and The Fast and the Furious) will both direct and write. An all-star cast was revealed with Will Smith leading as Deadshot, Jared Leto as the Joker, Margot Robbie as Harley Quinn and Jesse Eisenberg rumoured to be playing Lex Luthor. The film follows the anti-hero organisation that first appeared in DC Comics back in 1959, where a secret government organisation recruits dangerous criminals and super villains in order to carry out black ops missions in exchange for reduced sentences. Jared Leto released a picture of himself in the Joker makeup, following on from Jack Nicholson’s 1989 iteration and Heath Ledger’s Oscar winning portrayal in 2008’s The Dark Knight. The Suicide Squad seems to be DC’s answer to the hugely successful Avengers series, but only time will tell if DC can stand toe to toe against the might of Marvel in the world of cinema. But with two of the most iconic superheroes of all time in Superman and Batman in their corner, the next five years looks promising for DC Comics. While 2014 is over and 2015 is moving forward, there is no better time to look forward to the big films and TV shows on the horizon next year. Jurassic World, Star Wars Episode VII, Spectre (Bond 24), Avengers: Age of Ultron and Mad Max: Fury Road are just a few films set for release. As for TV, the return of some of 2014’s biggest shows are coming back, Game of Thrones, Walking Dead and Gotham are just some of the shows returning, as well as some brand new shows. 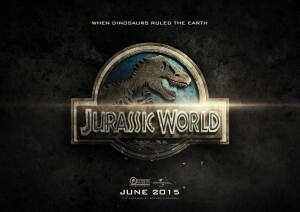 Jurassic World is set to be one of the most hotly anticipated films of the year, arriving over 20 years since the original was released back in 1993. Playing the lead role of Owen is Chris Pratt, who has had a huge year for himself in 2014. Even without being too aware of the franchise as a whole, most people can tell you what motivated Batman to become a crimefighter – as a wealthy child, he witnessed his parents getting murdered by a criminal after the family left a show, no-one at this point can be concerned by ‘spoilers’. 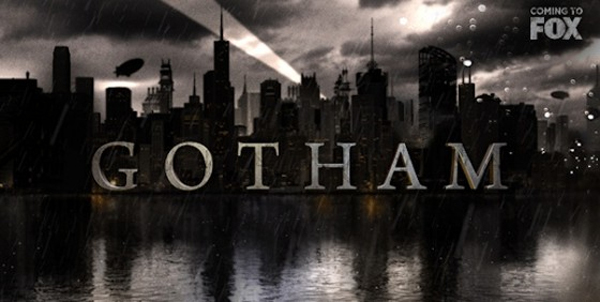 And for Netflix (who will begin streaming as soon as a season is complete) and broadcasters Fox, they will surely have looked on in interest this week at reaction to the premiere episode of new Batman origin show Gotham on Monday. As the first episode of a Batman-related show, it is natural that they have to include ‘the death scene’, which as many would have noted is a moment that has been played out quite a few times across the franchise’s various adaptations. For visual versions, web video creators Vulture have come up with a useful compilation of each time this has happened in a movie or TV show through the power of multi-screen, with their 2-minute video at one point encompassing no less than 9 different iterations of the scene running side-by-side. The Vulture post yesterday explaining their creation of Batman’s Parents Dying: The Supercut notes: “Last night, Gotham – Fox’s long-awaited and endlessly trailered Batman show without Batman – hit the small screen. And if you have ever even heard of Batman, this next bit of information won’t be a spoiler: His parents die! The Caped Crusader’s origin story has been tweaked and reinterpreted countless times throughout the decades, but Bruce Wayne always starts his war on crime to avenge his parents’ death in an alleyway stick-up. Though they naturally have plenty of content to support themselves at present, Netflix are constantly on the look-out for new programming and movies to add in the future, with their latest acquisition being what they now hope will be one of Fox‘s biggest hits. 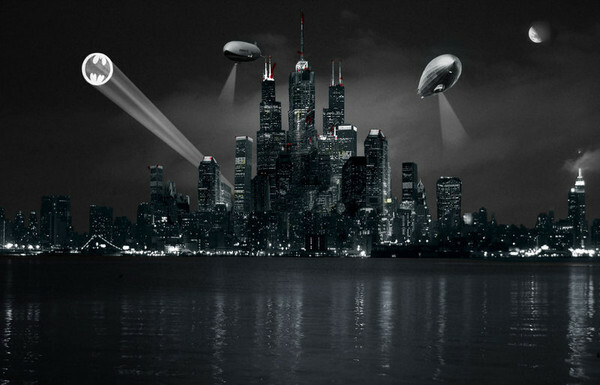 A deal has reportedly been signed with Warner Bros. that is to see upcoming superhero/crime drama Gotham feature on the streaming platform following its broadcast run. Deadline note that Netflix’s deal symbolizes the first-ever time that a TV show has been agreed to be taken on by a streaming platform before it has premiered on a network. It is noted that each of the 16 episodes in the first season will be put onto Netflix in each of its supported territories once the entire season is shown in that country, such in as the UK on Channel 5 premiering later than the American debut on Fox starting 22 September, though it is anticipated that the US launch could infact occur this time next year to help promote a second season on Fox, should it occur. Looking at the backstory of a “Detective James Gordon” (played by Ben McKenzie), and featuring the origins of a number of well-known Batman characters, the new concept on Fox is hoping to flourish amongst fans of the superhero franchise, but how much of a platform will it have created for Netflix to continue from? 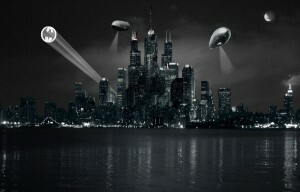 The upcoming new Fox series Gotham, a superhero drama without the superheroes, is being well promoted by Fox ahead of what they hope will be an anticipated release, with their latest move in the hype-creating campaign being to produce an exclusive four-part behind-the-scenes documentary for its YouTube channel. The video series, on the Gotham sub-channel of Fox on the video site, looks at the characters and settings set to come into play in the origin story show, which focuses mainly on the character of ‘Detective James Gordon’ (Ben McKenzie), as he goes through his early years on the Gotham City police force, dealing with a number of developing villains famous in the Batman franchise, and forging a friendship with a wealthy recently-orphaned boy called ‘Bruce Wayne’. Some would say that the modern age of television nostalgia started with Nick at Nite’s TV Land. The network knew there was a craving for the classic television shows of yesteryear that had been in reruns for decades but had been pulled. Fans around the world still had to have their classic shows and TV Land was born. The shows that made television like The Beverly Hillbilllies, I Dream Of Jeannie, Bewitched, Batman, I Love Lucy, and far more suddenly had a new life of their own on cable and the response was overwhelming. Fans tuned in every day, every night, every hour. Fan clubs arose that exist to this day. Collectibles from these shows became prized and today are worth quite a tidy sum. As TV Land grew, it added new programming and did well at that too. TV Land is now a staple in broadcasting and on streaming as well. Old shows can be found online and some in subscription like on sites like Hulu. Actors, producers, directors, musicians who appeared on the classic shows suddenly found themselves the center of attention and in big demand again. Showing up at conventions meeting old and new fans. It was a great time in television history as parents and grandparents could unite with their children and grandchildren and chat about the shows and talent. People would go to venues featuring the stars of the shows and nothing but a great growth in cultural education and awareness happened. To the delight of the public and TV Land, stars on the classic shows and the new ones, a good time has been had by all ever since. TV Land is one of the success stories of modern day broadcasting and lucky for us some of their content is now available for streaming.